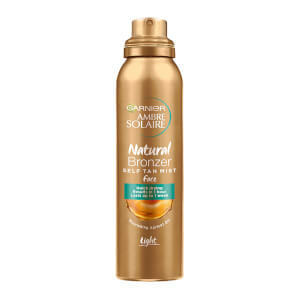 Garnier Ambre Solaire Body Dry Mist Original allows you to achieve a natural-looking tan with minimal effort and fuss. Enriched with nourishing apricot extract, it hydrates your skin to keep it feeling soft and smooth. The micro-diffusion spray works at any angle, making it perfect for those hard to reach areas, such as the backs of your knees. Formulated with naturally-derived tanning agents, the colour develops in just three hours, without having to be rubbed in.